The Pradhan Mantri Fasal Bima Yojana (PMFBY) was launched with much ado in the beginning of this year. However, it seems the initiative is turning out to be quite the non-starter. According to the data accessed exclusively from the Union Agriculture Ministry, only 2.53 crore farmers have insured their crops under the scheme this year. A large number of these farmers are those who have taken loans. It is necessary for farmers to insure crops at the time of borrowing crop loans. In contrast, around 3.69 crore farmers had availed crop insurance last year under the National Agricultural Insurance Scheme (NAIS), a scheme that preceded the PMFBY. Prime Minister Modi had decided to replace NAIS and Modified NAIS (MNAIS) on 13 January 2016. The aim was to provide a more efficient insurance support to the farmers and protect them from crop damages. According to sources, the government had hoped to widen the net of crop insurance to 50% from existing 26% in the next three years. But, the results from the first crop season have been far from encouraging. The data available until 8 September reveals that only 2.53 crore farmers have insured their crops. This also includes farmers who have done so under the weather-based crop insurance scheme. Although, the figures are expected to improve a bit till the end of 2016. However, experts agree that it would be nowhere around the figure of 3.69 crores registered under NAIS and MNAIS in 2014-15. "No farmer avails crop insurance out of his will. The farmers know there is no guarantee of compensation within a stipulated time while they would lose the premium money. 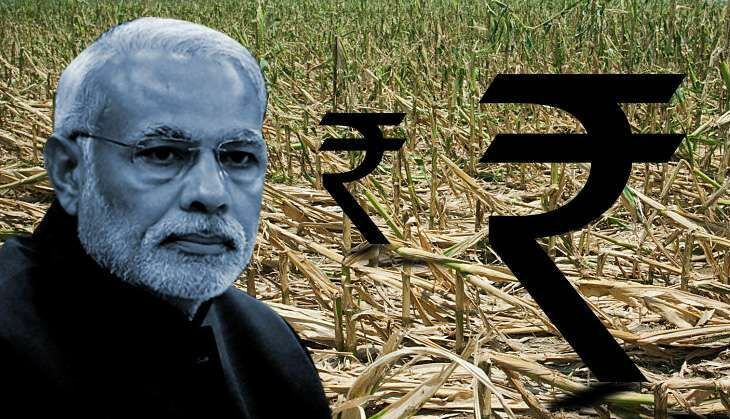 The payment is solely dependent on the discretion of insurance companies," says agriculture expert Devendra Sharma. > Most of the 2.53 crore farmers have not insured their crops out of choice. They have been forced by banks to do so for availing crop loans. Many farmers believe all crop insurance schemes are meant to benefit only insurance companies. No such scheme is likely to break much ice till the government formulates an insurance policy in the favour of farmers.